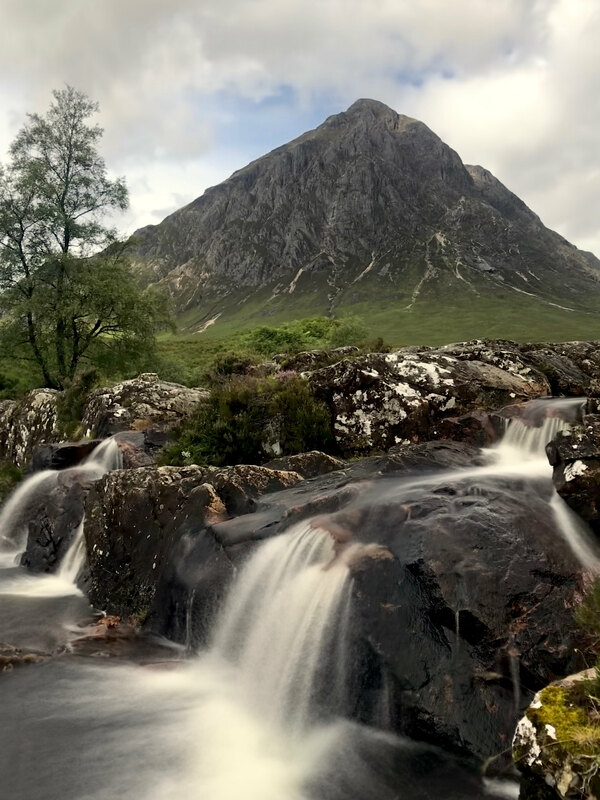 For the most photographed mountain in Scotland, there are few if any images out there which truly convey the sheer scale of the north-east face of Stob Dearg. It looks as impenetrable as a cliff face - as does the north coire, the traditional ascent route, upon first glance. As with other similar paths all over the Highlands, the closer you get to the bealach the less the perceived verticality between you and it. 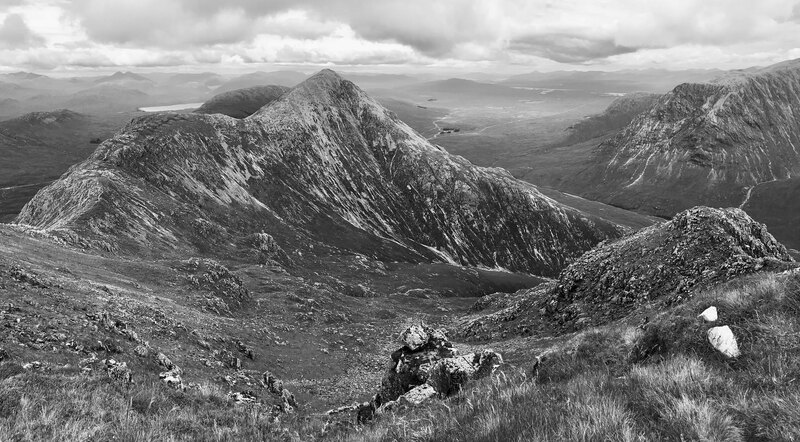 The scree-laden, pathless trek to the top of Stob Dearg is rewarded with a phenomenal panorama over Glencoe, Rannoch Moor and naturally Ben Nevis in the distance. Following the crest of the massif over another two Munros, Stob na Doire and Stob Coire Altrium, as well as some pretty lochans, you are faced with a similar route for your descent which, though again strewn with loose rock, poses little real difficulty of danger. The final trek through the Coupall valley back to the A82 is extremely pleasant, although long, marred slightly by a marshy roadside clamber back to the car park.